"How long have I got?" 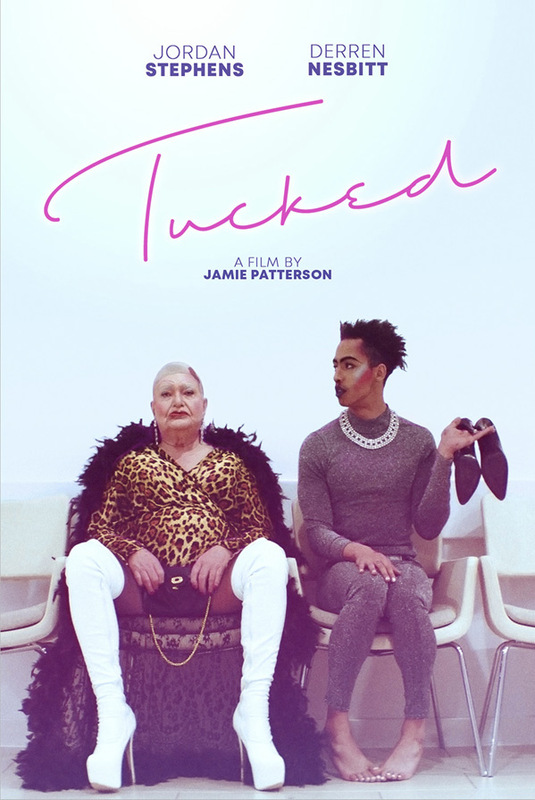 Gravitas Ventures has debuted an official trailer for an award-winning indie drama titled Tucked, the first queer film from prolific young British director Jamie Patterson. This premiered at the Outfest Film Festival last year, where it won both the Narrative Audience Award and the International Narrative Feature Grand Jury Prize. Tucked is about an aging drag queen named Jackie Collins, who has been told he only has six weeks left to live. All he wants to do is perform his long-running act, and behave as if all is normal. But between a surprising new friendship with a rising young queen and unfinished business with his estranged daughter, he may just have the most eventful month and a half of his entire life. Starring Jordan Stephens, Derren Nesbitt, April Pearson, and Steve Oram. Worth a peek if you're curious. 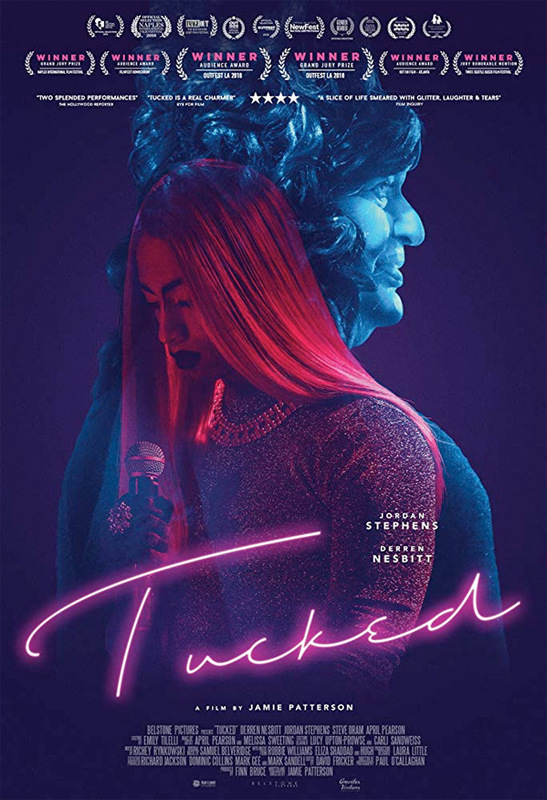 Tucked is a raw and tender indie drama about an aging 74 year old drag queen who forms an unlikely friendship with a younger queen, both struggling with their own issues of gender identity and mortality. As they discover more about each other, they realize how to truly be themselves. It's a 'slice of life' drama about love, loss and friendship; a feel good film with a great charm and sense of humour. Tucked is both written and directed by British filmmaker Jamie Patterson, of many other features previously including Swimming in Circles, Confession, Billboard, Daisy, City of Dreamers, Blind Date, Winners, Fractured, and Caught. This premiered at the Outfest Film Festival last year, winning the Audience Award and Grand Jury Prize. Gravitas will release Patterson's Tucked direct-to-VOD starting March 19th this month. Interested?